When your baby is ready for sitting or on the go, we can capture them in the fun roly-poly happy phase, when those big grins and belly laughs are lighting up your life. Sitting babies make the best models, since they cannot crawl away and are easily amused with peek-a-boo and squeaky toys. Portraits at this stage capture the beginnings of those dynamic personalities that will be with you forever. 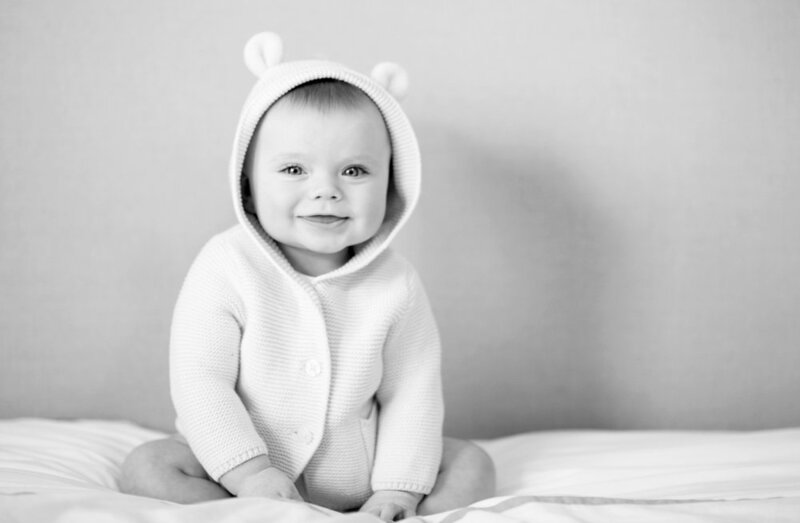 Babies are captured alone, usually in simple outfits and we will also take images with up to four siblings and parents. Many of my clients opt for the Baby's First Year Package which includes a photo session for your newborn and again when your baby is 6 months old and 1 year old. 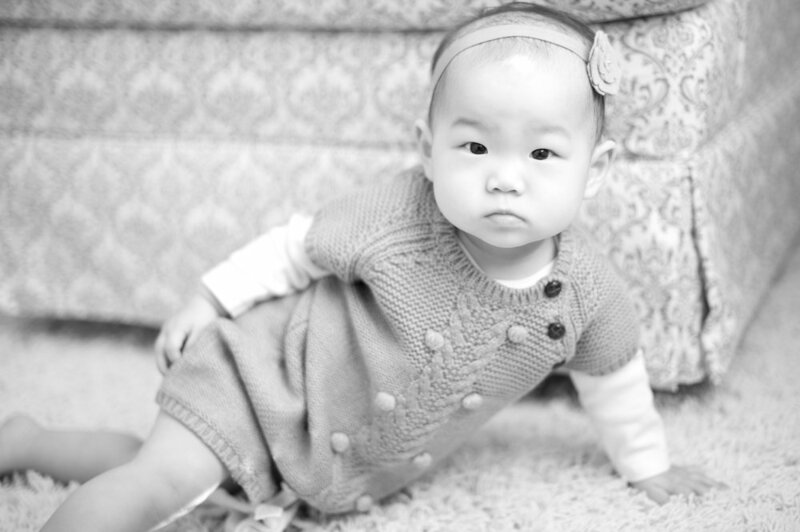 Included with this year-long package are three custom photo sessions which document your child as a newborn, at six months (when baby is able to sit up), and at his or her first birthday. To make this package even more special, a maternity session can be added for an additional $195. At the end of the first year, you will receive a beautiful 8x8 portrait album highlighting your favorite images from each session - your baby book done for you! 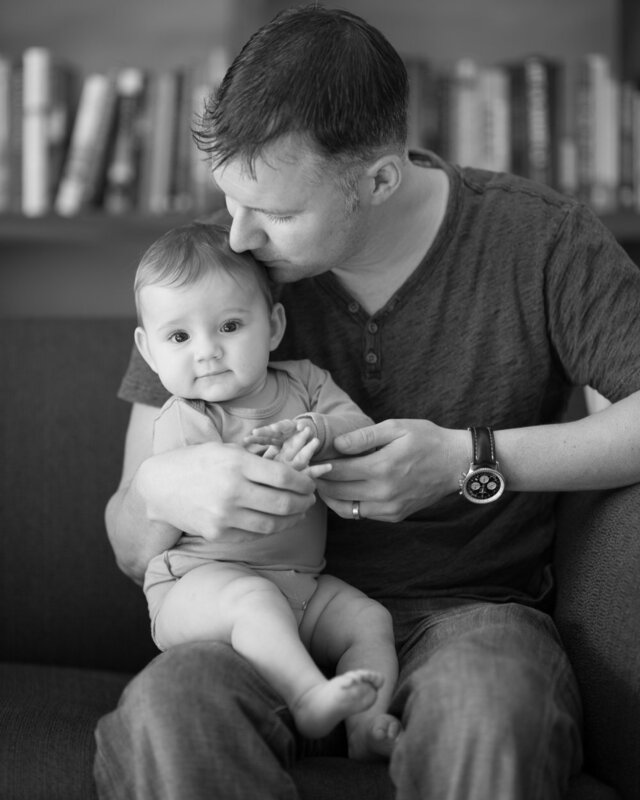 Your newborn session includes one hi res 4x6 digital file for you to make your own announcements.